Welcome to the Americas Best Value Inn-Fresno Downtown. Conveniently located in a downtown setting the Americas Best Value Inn represents the perfect choice for all guests. Amenities include high-speed internet access. Each guestroom includes a 40-inch flat screen TV. Not only are we walking distance to the Convention Center/ all State and Federal Buildings/ Community Hospitals/ Civic Center/ New Grizzlies Stadium/ the Downtown Mall/ Museums/ Art Galleries/ Parks/ Gardens/ and Performing Arts Centers/ but we have easy access to all major highways. In addition we are 5 miles form Fresno International Airport -FAT-. Our accommodations include all the necessary luxuries at a reasonable price. Leisurely begin your day with breakfast at our adjoining restaurant prior to embarking on you day of business or fun. Upon return from your hectic day take a relaxing dip in our crystal clear outdoor swimming pool. Fresno is your gateway to spectacular attractions such as Sequoia/ Kings Canyon/ and Yosemite National Parks. We are the ideal base camp for all your outdoor activities from fishing/ biking and mountain climbing to horseback riding and water skiing. Our staff at the Americas Best Value Inn-Fresno Downtown prides themselves on making your comfort their primary concern. 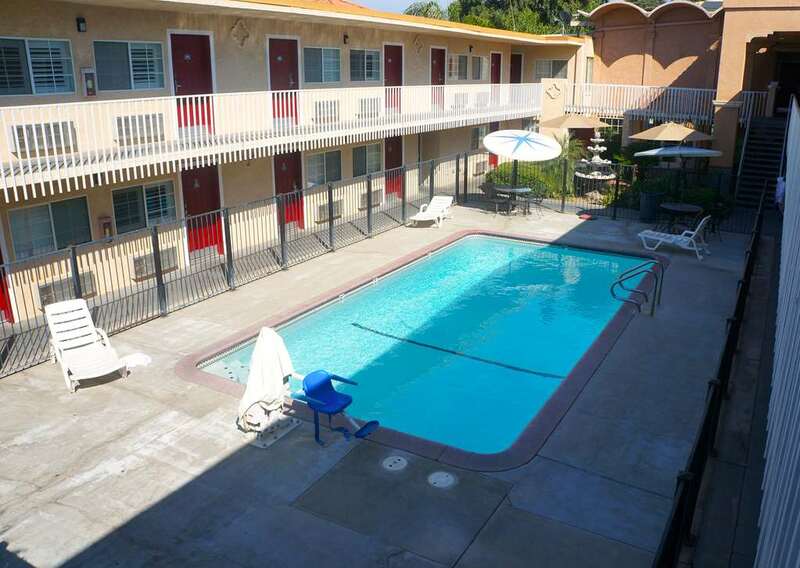 The Americas Best Value Inn-Fresno Downtown is conveniently located at 2425 Merced Street near all of Fresno/ CA s major attractions including California s beautiful National Parks and Forests.